WHAT IS FORT WAYNE UNITED? 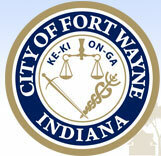 Every black male in Fort Wayne is respected and valued and has the opportunity to achieve his full potential. Advocate for and implement policies, practices and procedures to ensure equity and opportunity for black fathers, brothers and sons at home, work, school and in the community through collaborative efforts.